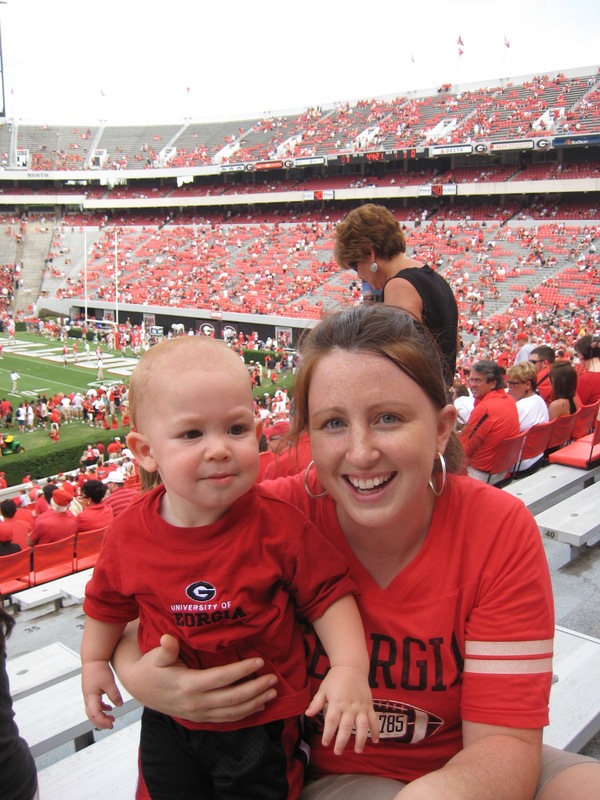 Nash attended his first UGA football game this past weekend….and probably his last until he turns 10! It was hot and exhausting, but all in all a good time. 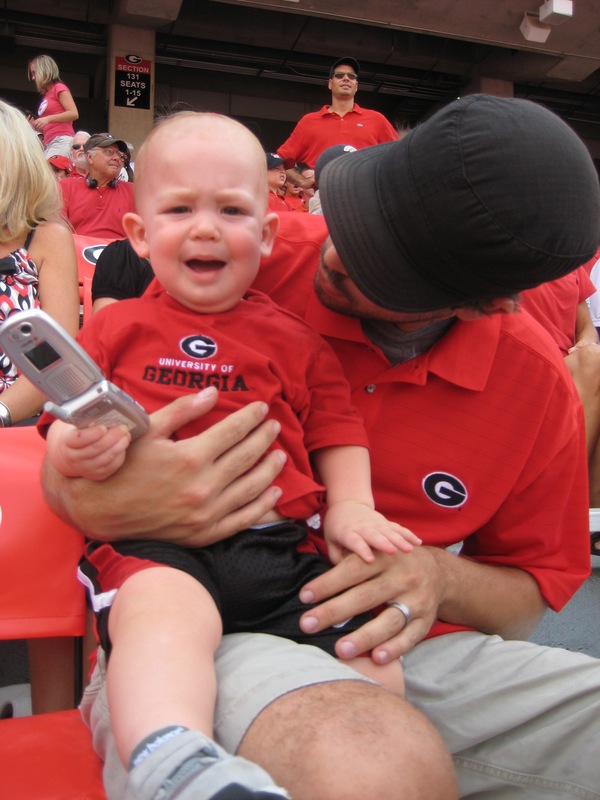 Bryson really felt it was important for Nash to experience a game (they like to start brainwashing them when they are little here in Athens). Nash did managed to get on the big screen in the stadium which was pretty exciting. 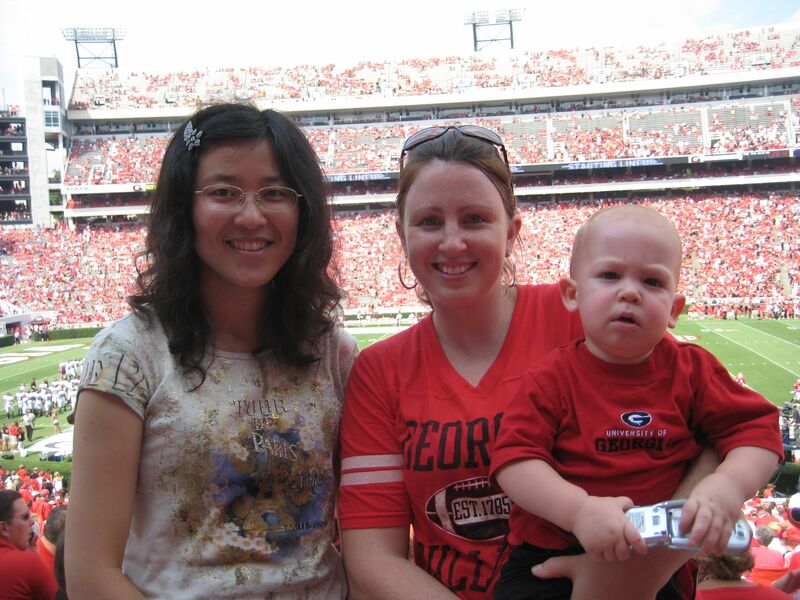 We also brought our Chinese friend Lu to the game with us and it was her first American football experience (Best quote of the day: “It’s like ping-pong in China, people get very excited”). Here are some pictures of us in our Red + Black. Go Dawgs! 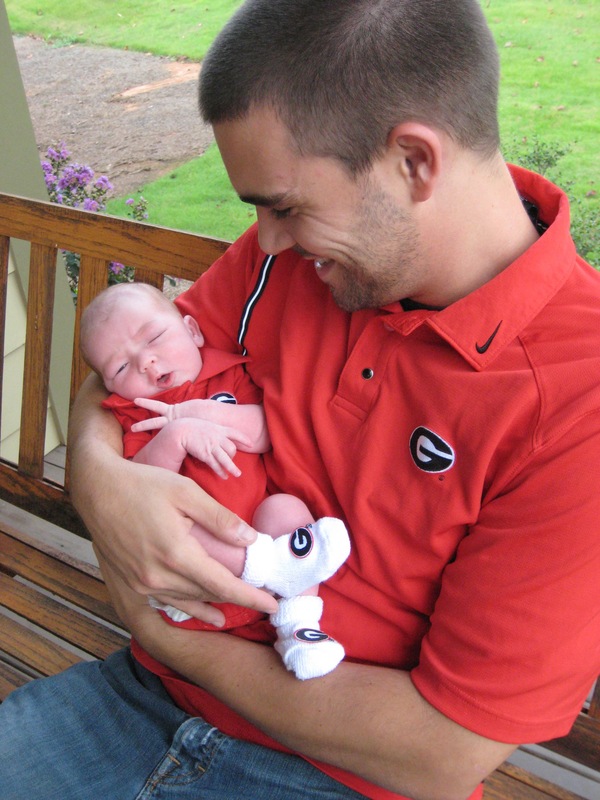 I finally caved and bought a UGA shirt. I guess that makes me a fan?? Our sweet friend Lu from China! Nash would rather watch football at home where he can walk around and play. 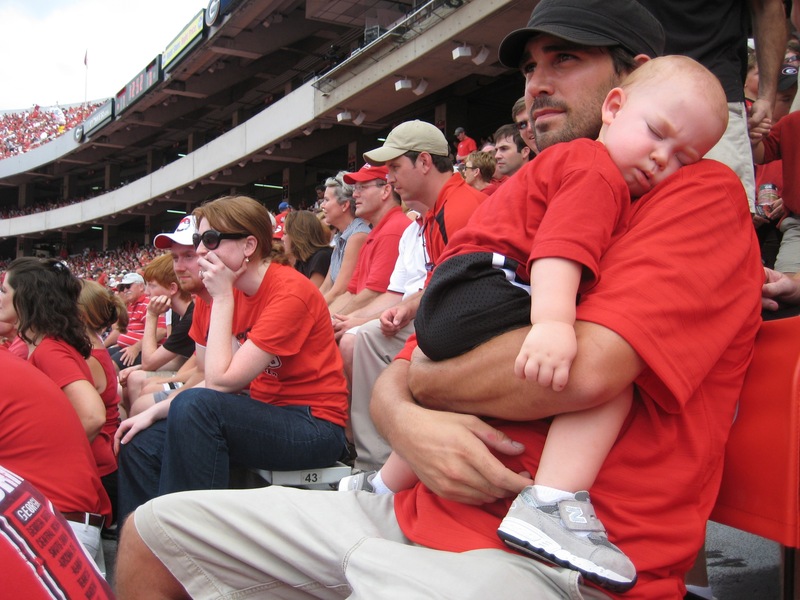 Sitting still in the stands is tough for a one year old! 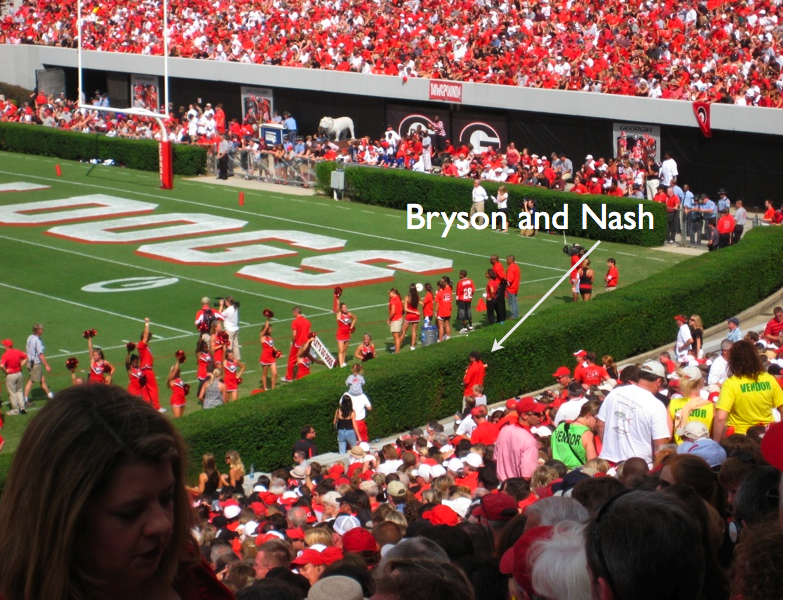 Nash and Bryson checked out the famous ‘hedges’ and got a close up view of the game. Glory Glory to ol’ Georgia!